This weekend was all about family. My mother-in-law was kind enough to spend the weekend with the kids so the Hubs and I could go to my cousin’s amazing wedding. The wedding was spent with my immediate family, aunts, uncles and cousins. Today my parents came up to Scorch’s baseball game and over for dinner to cap off an amazing Father’s Day. At the wedding, I danced like a fool (as I always do) with my father, my uncles, the Hubs, my brother-in-law and my cousin’s husbands. All fathers. All amazing men. None of them have cured cancer, invented anything that changed the world or ran for president. But they have changed a million diapers. Rocked babies to sleep. Played catch for hours. Given out countless hugs. Been chauffeurs, therapist and cooks. Made beds and cleaned house. Been a task master and the bad guy. Kissed boo-boos and wiped noses. They have shown up and cheered on their kids at games and recitals and plays. They’ve learned new sports and been the coach. Given piggy-back rides over and over. Been tackled and wrestled with. Hosted tea parties for dolls and learned to braid hair. They’ve been Dad. 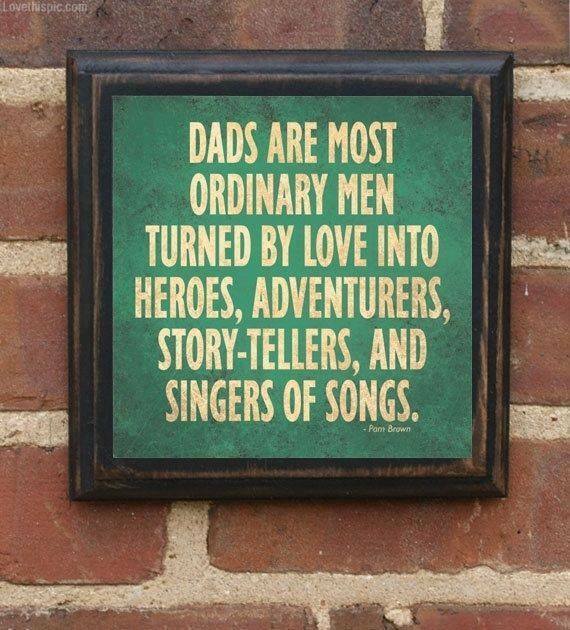 Happy, happy Father’s Day to the amazing men who I’ve known from birth and the amazing man I’m married to. Anyone can be a father, but it takes someone very special to be a Dad. Thanks for being that special!